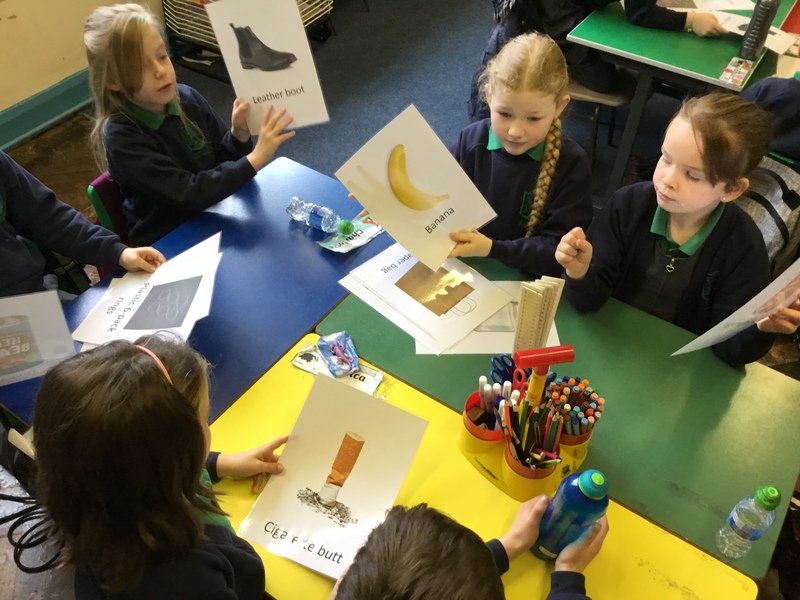 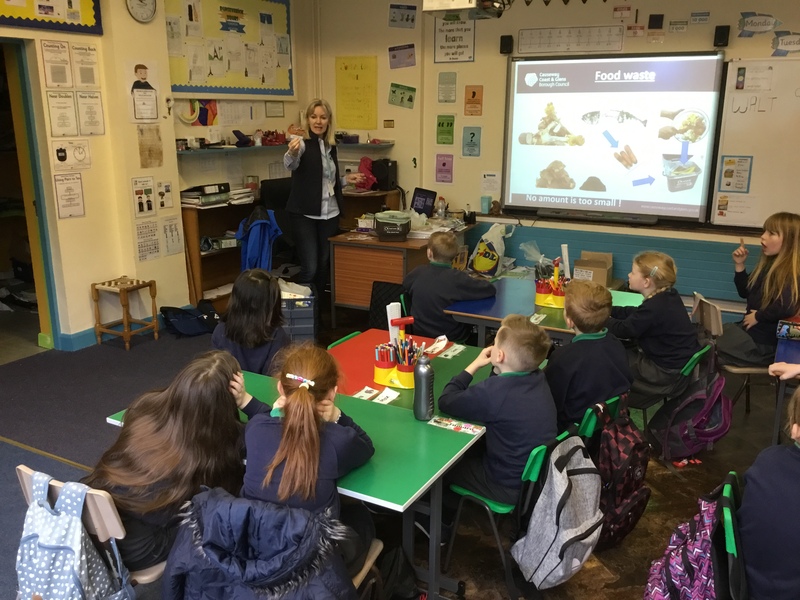 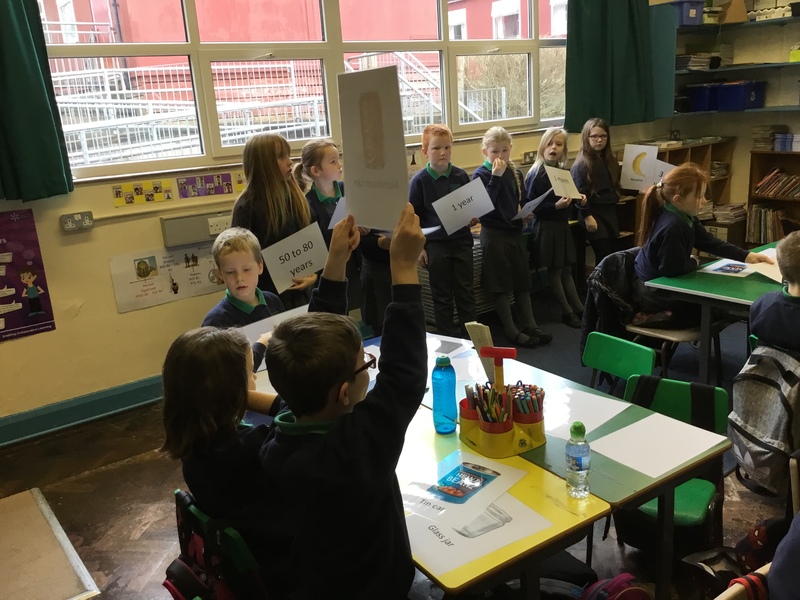 This morning Causeway Coasts and Glens Council came in to talk to P4/5 about recycling. 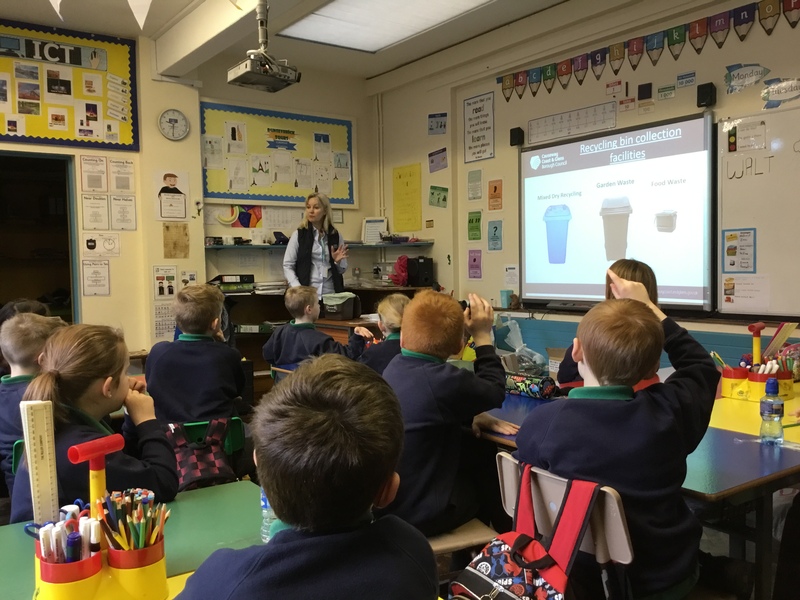 Janice was able to tell us all about how to use our recycling bins, including our new food caddies. 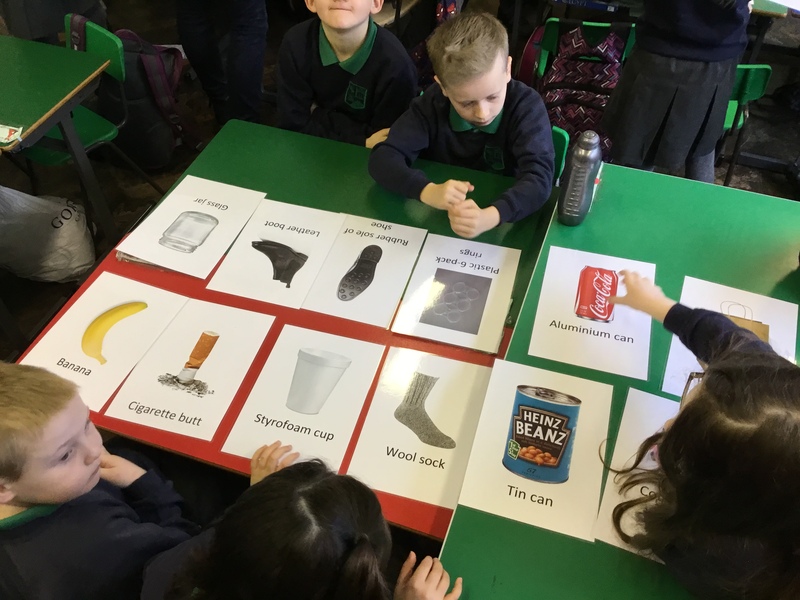 We also learned how important it is to recycle as some rubbish, like glass and plastic, will take over 500 years to rot!